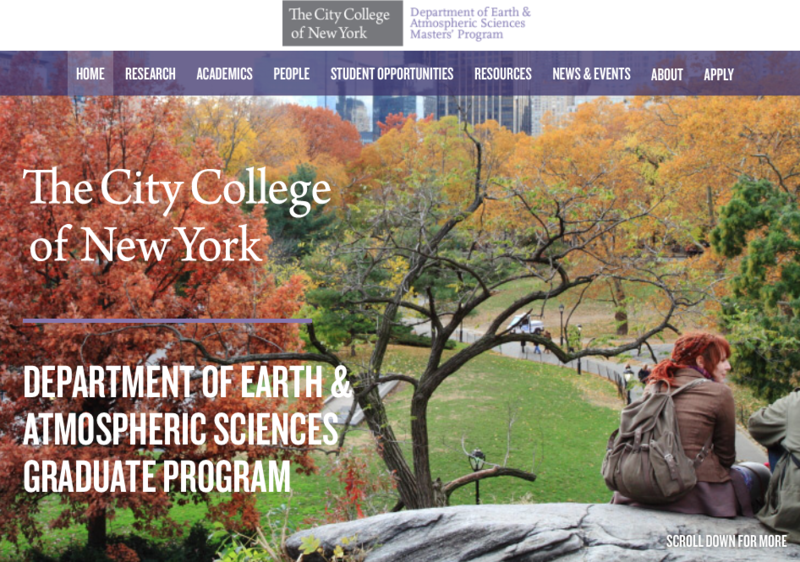 Happy to have chaired the committee for a new website for the EAS department graduate program! The website has department news, a directory, descriptions of research and classes in the department, FAQ, and opportunities for graduate students. AND it looks great! Assembling all this was pretty fun and a nice reminder of the fantastic opportunities students have at City College. Find the website here.